Ever since the launch of the Belt and Road Initiative (BRI) by Chinese President Xi during his visit to Kazakhstan in 2013, the plan has remained the focus of significant discussions and research in the media, think-tanks and academia across the globe. The same is the case with CPEC, which is one of most researched topics in universities across the country these days. Although there is a dominant consensus in Pakistan that CPEC is expected to contribute to socioeconomic development in various ways in terms of power generation, infrastructure upgradation, industrialisation, and the creation of employment opportunities, there is also a perception that Pakistan could be in serious financial trouble when it comes to the outflow of loan payments along with payable interest and profit remittances to Chinese companies. Regarding long-term financial obligations on the part of the country, it is feared that CPEC could become a debt trap for Pakistan in the long run. In this context, one of the main issues is the guaranteed return on equity for Chinese investors. The financing mechanism of most projects under CPEC is foreign direct investment (FDI), having a debt-to-equity ratio of around 80:20 or, in some cases, 75:25. In a majority of cases, return on equity (ROE) is guaranteed at 17 per cent. This generated a debate concerning whether most of the projects being implemented under CPEC are commercially viable and sustainable. With debt service outflows accompanied by the payment of return on equity in US dollars and the outward movement of remittances amounting to about $2 billion to $3 billion annually in the medium-term, this school of thought argues that Pakistan would be in a serious financial situation as such a massive outward payment would put immense pressure on Pakistan’s foreign reserves once the repayment period begins. Some critics have even gone so far as to assert that CPEC is the financial colonisation of Pakistan by China as it is a Chinese project that serves Chinese interests and Pakistan just happens to be part of the geographical terrain. Similar concerns have been expressed by major powers about the overall BRI. 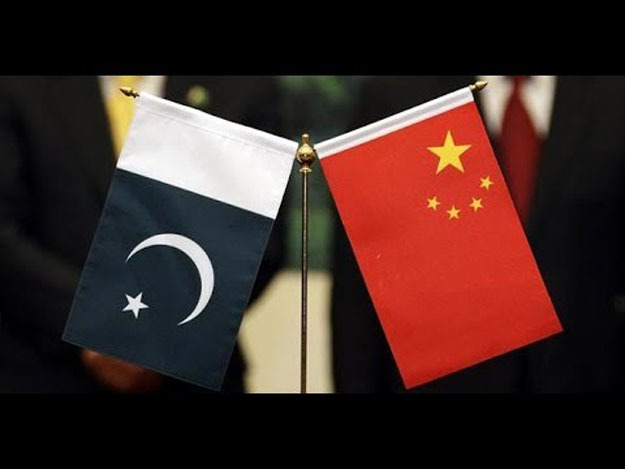 It is difficult, if not altogether impossible, to provide a definite answer at this stage about whether the BRI and CPEC projects are a bane or a boon for participating countries. Every country has its own strengths and weaknesses, and can better exploit the massive opportunities under the BRI by capitalising on its multiple strengths and overcoming its own various frailties. And there are a number of studies that offer insights to participating countries about their governance situation and business environment. For example, a recent study has come up with a Belt and Road Index. Out of the 67 countries participating in the BRI, Pakistan was ranked the 11th least attractive country. The index has been developed by using reliable and internationally-recognised data sources. The index is classified into six categories: economic potential, demographic advantage, infrastructure development, institutional effectiveness, market accessibility, and resilience to natural disasters. Among these six parameters, Pakistan’s performance is the worst in terms of institutional effectiveness. Among South Asian countries, its score is only better than that of Afghanistan. Besides other things, the study has pointed out that countries that are politically unstable or have governance issues are essentially the most underdeveloped countries in the region. In contrast, countries characterised by political stability and the prevalence of good governance have largely ranked among countries of the highest level of overall (comprehensive) development. For instance, in view of the overall development level, the last four countries are Afghanistan, Syria, Yemen, and Iraq, and these four countries also rank low in terms of governance. Similarly, countries that are ranked among the last 10 in terms of overall development levels are also ranked as the last 10 countries in terms of political instability and bad governance, such as Pakistan, Tajikistan, Uzbekistan, and other countries. Contrary to the above list of countries, various countries have high overall development levels because of their high level of political stability and good governance. These include Singapore, Estonia, the Czech Republic, Poland, Lithuania, and Israel. Ironically, these six countries are also quite disadvantaged in terms of resources and size, and economic development (except for Singapore). But they rank in the top 10 category with regard to overall (comprehensive) development levels. The study suggests that “political stability is the basic premise of national development, and there would not be any development without political stability in the country”. Hence, the lesson for Pakistan or any other county is that it is indispensable to make all-out efforts to promote national harmony on key issues, ensure political stability, and embark upon genuine, and not cosmetic, measures to enhance the capacity of state institutions to improve the levels of good governance at various tiers. Using the Trade Facilitation Index (TFI), all BRI countries (64 in this study after excluding China and New Zealand) have been compared and ranked on trade facilitation measures. A number of elements that are critical to facilitate trade among countries have been employed. These include factors such as port efficiency (ports, airports and the burden of custom procedures); custom environment (irregular payments and bribes, trade barriers, and corruption of various kinds); regulatory environment (transparency in government policy and decision-making, judicial independence, and the reliability of the police); electronic commerce (internet users and the use of latest technologies); and financial environment (the availability and affordability of financial services). In addition, dynamics such as GDP, total population, the existence or absence of the free-trade agreements (FTAs), and distance from main ports or markets have been considered. Here again, among the South Asian countries, Afghanistan is at the 55th position, India on the 44th, Pakistan at the 49th, Bangladesh on the 50th, Sri Lanka at the 40th, Bhutan on the 38th, Maldives on 60th and Nepal on the 48th. Countries that are ranked in the top five positions are Singapore, Estonia, the UAE, Bahrain and Latvia. Once again, at the bottom of the overall rankings are Afghanistan, Yemen and Iraq. Again, there should be no surprise as unabated conflicts have wreaked havoc on the state and societies in these countries. The study has found that the TFI has the largest impact on bilateral trade while GDP has the lowest impact. Among these various components, the presence of vital infrastructure has a significant impact on bilateral trade. In many countries, including Pakistan, which is a key country where numerous projects are under various phases of implementation under CPEC, it is expected that Chinese investments can help build the necessary physical infrastructure. However, it is imperative for countries, such as Pakistan, to focus on the quality of human development and create an enabling environment in other key areas for the swift and easy cross-border movement of people, goods and services. In order to harvest the BRI’s true potential, it is fundamental for all participating countries, including Pakistan, to ensure adherence to rule of law, guarantee the provision of better education for their people, improve the business environment, eradicate corruption, and enhance the management capacity and credibility of state institutions. The BRI or CPEC projects are neither a bane nor a boon. All participating countries have a choice to turn them to their benefit. All times are GMT +5. The time now is 01:59 PM.